Jane qualified as a physiotherapist in 1987, gaining a distinction in her exams and winning the Sarah Leeson Memorial Award for the most promising student. After qualifying she worked in the NHS and private practice for 12 years specialising in Neurology and then Orthopaedics before leaving the profession to pursue more entrepreneurial endeavours. Jane assists individual patients deal with advanced cancer by helping to facilitate integrative therapy programmes, collaborating with the patient and their doctor to include old off patent drug cocktails. There have been many problems with acquiring these drugs for patients, despite the obvious benefits, so it was a massive relief when she discovered the Care Oncology Clinic in 2015 studying an almost identical drug protocol to her own. Since then Jane has found the courage to speak out about her illness in public. 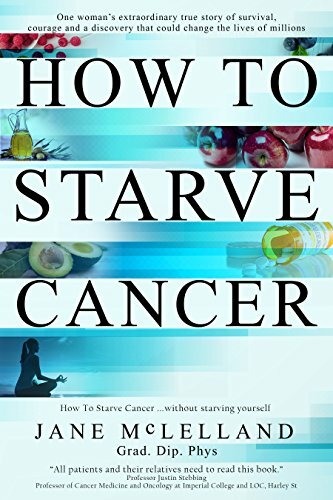 She now spends her spare time educating and empowering cancer patients to seek complementary treatments, in particular to research old drugs. She has a growing facebook following on her ‘Jane McLelland Off label drugs for Cancer’ site. She has visited parliament several times to help change legislation with off patent drugs and to influence the Medical Innovation Bill..